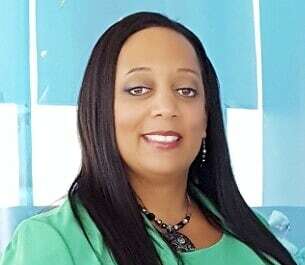 As an innovative, dynamic, and strategic Human Resource (HR) practitioner with greater than 10 years of specialization in development and implementation of HR programs, Alicia King has an established record of accomplishment of success with big box companies across multiple industries. King has demonstrated abilities in both unionized and non-union work structures, driving her broad range experiences toward organizational goals and development strategies. Her broad experience includes, but is not limited to recruitment, onboarding, employee/labor relations, career coaching, diversity and inclusion, talent development, succession planning, and organizational design. Prior to joining SHRM, she supported talent management efforts for Comcast in Philadelphia, PA and Southeastern Grocers in Jacksonville, FL. In addition, she provided diverse HR experience at General Electric, Georgia-Pacific, Schneider Electric and the Cincinnati Reds. King graduated from The Ohio State University with a bachelor’s degree in Chemical Engineering and has a MBA from the University of Phoenix in HR management. She also received her Society of Human Resource Management – Senior Certified Professional (SHRM-SCP), Senior Professional Human Resources (SPHR), and Six Sigma Black Belt certifications. She is an avid shopper, sports enthusiast, great cook, and community volunteer, so she already is looking forward to being a part of the DC metro area.